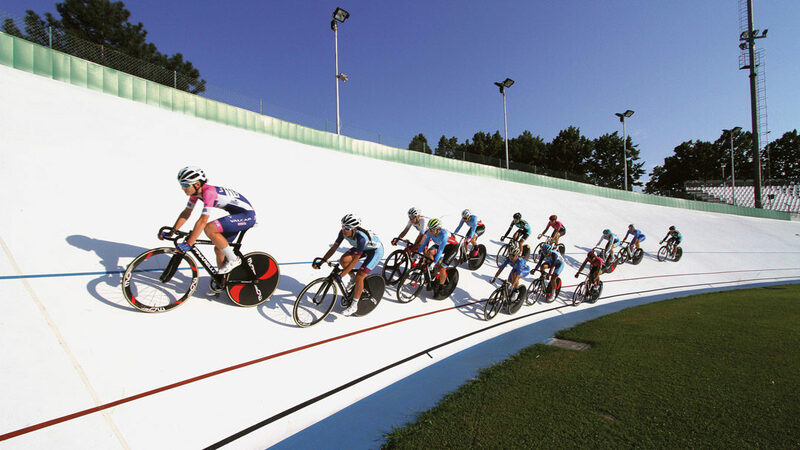 The Ottavio Bottecchia velodrome, one of the first ten open-air tracks in the world, built in 1925, has recently been refurbished, bringing the track’s surface back to its optimum functionality on the occasion of the “3 Sere Internazionali Città di Pordenone” (3 International Evenings in the City of Pordenone). First of all, the existing covering, applied 20 years ago, was removed, then the cracks in the underlying cement screed were sealed with a two-component epoxy adhesive; then the joints of the reinforced concrete structure were sealed with an extruded polyethylene foam cord and a polyurethane sealing adhesive. 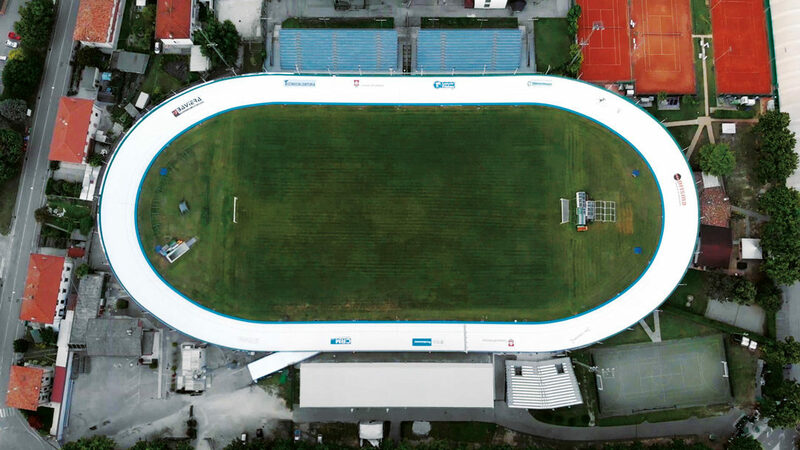 The intervention was completed with the renovation of the runway covering with a specific multi-layer system based on acrylic resins specially developed for the creation of velodromes in outdoor spaces on supports in bituminous or cementitious conglomerate. 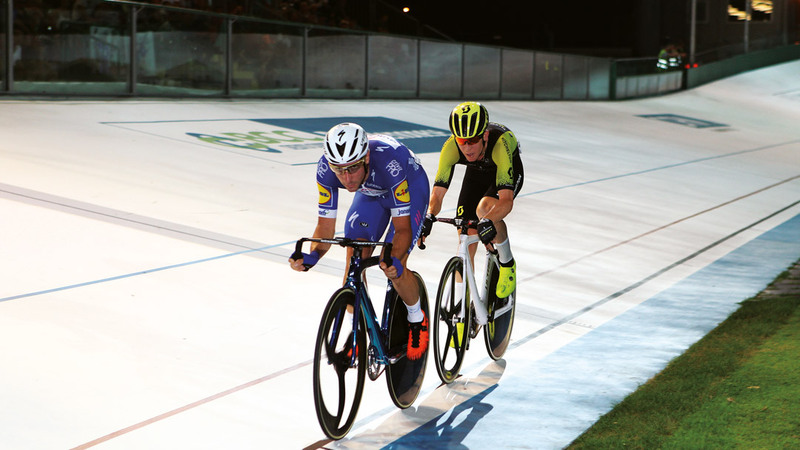 The high characteristics of the system of resistance against abrasion, mechanical resistance and the excellent combination of sliding and stability of the tyre guarantee the athlete excellent sports performance during physical activity. The same system has been developed thanks to the experience gained in recent years in the construction of the velodromes of Dalmine, Ferrara, Kiev and Guadalupe. 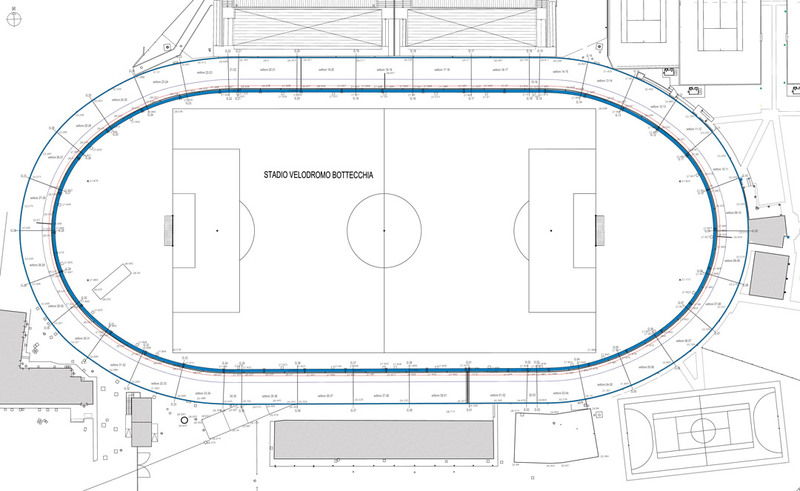 The municipal administration has also authorised the Amici della pista (Friends of the Track) to create the logos of the private sponsors on the floor, which are in addition to those of the public partners (Municipality, Region, Turismo Friuli Venezia Giulia). 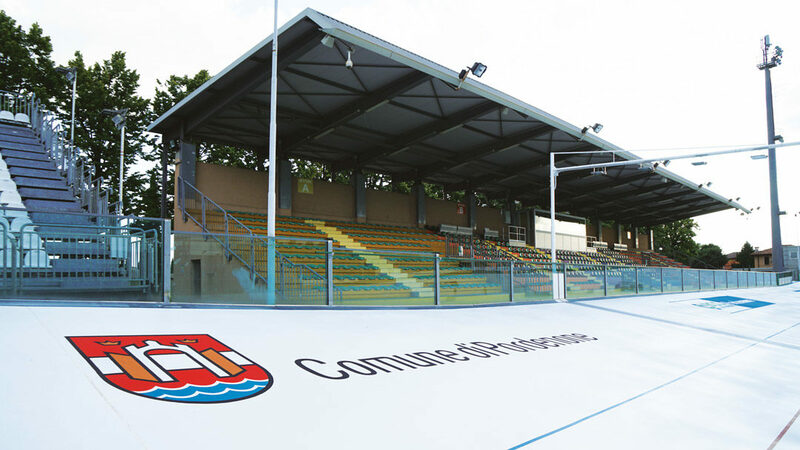 Over time, the brands inserted can be replaced by new ones, without naturally affecting the quality and safety of the fund: an operation that contractually provides for the commitment to reinvest 10% of the advertising revenue in the maintenance of the facilities.